To fulfil your order, you must provide me with certain information, such as your name, email address, postal address and the details of the product that you’re ordering. You may also choose to provide me with additional personal information (for a custom order of jewelery, for example), if you contact me directly. For purposes of EU data protection law, I, Gabriella Sarlos, am the data controller of your personal information. 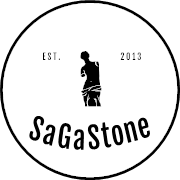 If you have any questions or concerns, you may email me at: gabriella@sagastone.com. Gabriella Sarlos, 639 Shaw Avenue, Coquitlam British Columbia, V3K 2R5, Canada. Price include shipping to Canada and US. for International order please contact for estimate.